In the day and age of death metal, we often find ourselves staring at tattooed guitarists wielding Super-strats loaded with a combination of Emg pickups and the Floyd Rose Bridge, but what in heaven’s name has happened to the good old Strat? If you walk into a guitar store you will notice people toying with a plethora of guitars: The Ibanez’s, The Schechter’s, The Esps seem to be favored by guitarists these days. If you talk about a good old Strat, people frown. Have we forgotten the value of a Stratocaster? 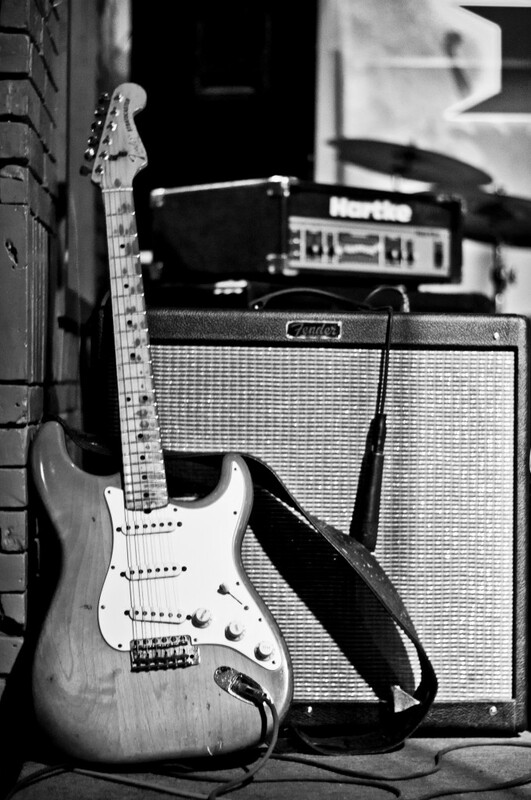 From Guitar-God Hendrix to Clapton to Gilmour, everyone has used the Strat. In Clapton’s case he switched from a Les Paul to a Strat! The Fender Stratocaster has been the single most copied guitar in history. All the Japanese manufacturers came to the spotlight in the 70s because of their ability to make high quality knock-offs while the CBS owned Fender itself was struggling with quality issues. Why do we call a guitar with a double cut away and a dual humbucker combination a ‘Superstrat’? The answer is: its design was stolen from the Strat. These guitars combined the comfort of the Stratocaster with the power of the dual humbucker combination. At that time, people were looking for more power but the single coils were either too weak or too noisy so they pumped it up with humbuckers. Some of the notable inventions of Leo Fenders magnum opus were the tremolo system, which according to me is still way better than the Floyd Rose locking trems. In my honest opinion, the Floyd Rose is only good at sucking the sweet tone from your guitar!Â All our modern guitar heroes like Slash, Tom Morello, Kirk Hammett come from a generation of guitar heroes wielding a Strat. The reason people don’t buy Strats these days is probably because they feel it is “not cool”. They don’t have a logical, sonic justification for not using one. Heck, the guys from Iron Maiden use Strats! With modern pickup technology, one can have the power in a single coil package along with the pureness of a clear single coil tone. Doubters must check out the Eric Clapton signature model. With the in build mid- boost circuitry it pumps out a level of gain which eclipses the EMGs of this world by a mile! People think if they own a Jackson RR3 its cool. For me, the Fender Stratocaster isn’t the single most important instrument in rock history, it is also the coolest one. From the violin-like tone of Eric Johnson’s Strat to the Dreamy echo of Gilmour’s Strat to the Fuzz laden mayhem of Hendrix’s Strat , no other guitar has influenced the destiny of Rock music. From insanely vintage Strats of the 50s to the modern Shred machines such as Yniwe Malmseem’s, the Stratocaster rules the field; not even the great Les Paul manages to match the legend of the Stratocaster. One often overlooks the curvaceous craftsmanship of a 50s Strat which is still continued in the modern American models. There is no cooler guitar than a completely worn out Strat; remember the little guy from Ireland whom Jimi Hendrix rated as the greatest guitar player on the planet? I’m talking about Rory Gallagher. Coming to modern players, the sight of John Mayer playing his worn out Strat is just iconic and people say wielding a Flying V is cool.